If you have a long commute, it only makes sense to catch a bit of shuteye while you're headed to work on the train or bus. The only problem with this is that, if you're napping a little too hard, you might end up oversleeping and missing your stop when the subway pulls into your station. Thankfully, developer Prax-6 has come up with an app that will solve this problem once and for all. It works as a location-based alarm, so you can enter your destination address, then your phone will wake you up when you get close to your stop. It uses multiple location sources, not just GPS, so it'll even work underground in the subway. To top that all off, the app is completely free and quite flexible, so I'll show you how it works below. 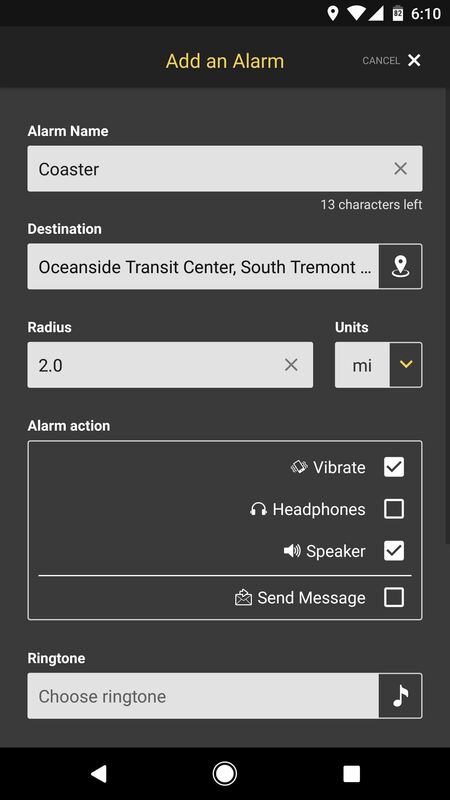 If you're a train-sleeper, the first thing you should do is install Prax-6's new app, which is called Alarm-Me (Location Alarm). 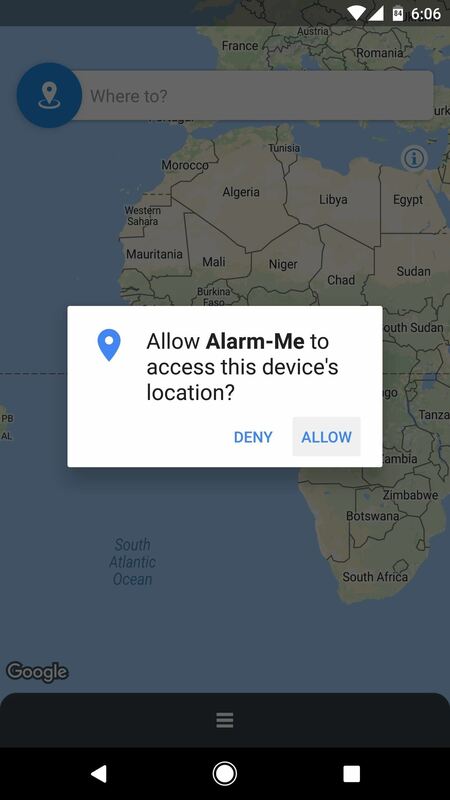 Open the app, and if you're running Android Marshmallow or higher, make sure to tap "Allow" when asked if you'd like to let Alarm-Me access your device's location. From there, you'll see a couple of tips that help you learn to use the app, so go ahead and flip through these. 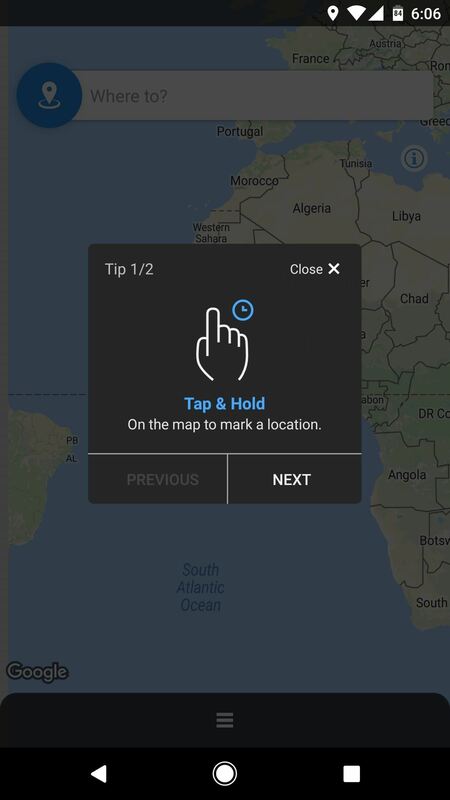 Once you make it to the app's main menu, there are two ways that you can set a destination address: First, you can either type the name of your stop or destination into the Where to? field at the top of the screen, or you can tap and hold a spot on the map to put a pin in that location. 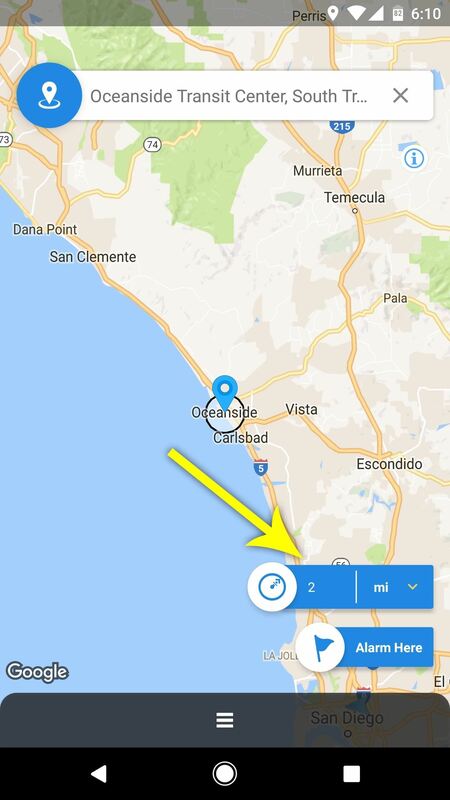 Once you've selected a location, use the field towards the bottom-right corner of the app to set a radius—this represents how far away from your destination you would like to be when your alarm goes off. When you're done there, tap the "Alarm Here" option near the bottom of the screen. You'll see a screen that allows you to adjust several options for your location-based alarm. For starters, you can give this alarm a name, which will save it for future trips. 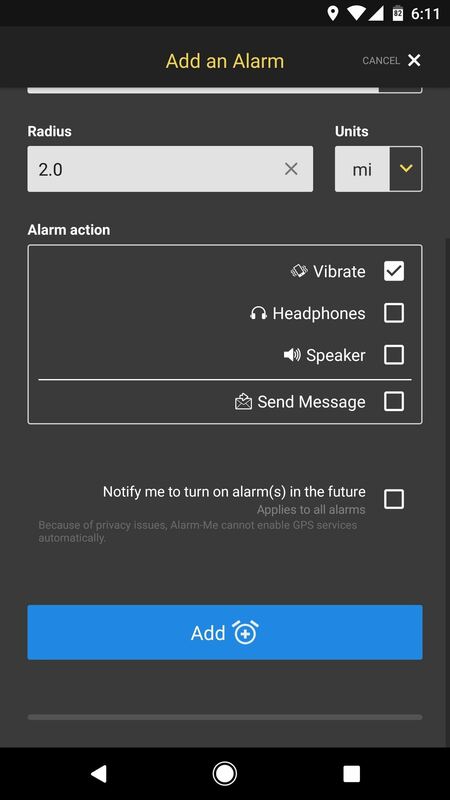 From there, in the Alarm action section, you can choose how you'd like to be notified—and once you've done that, you can pick a specific alarm sound from the Ringtone field. When you're satisfied with all of this, make sure to tap the "Add" button at the bottom of the screen, then your location alarm will be set. 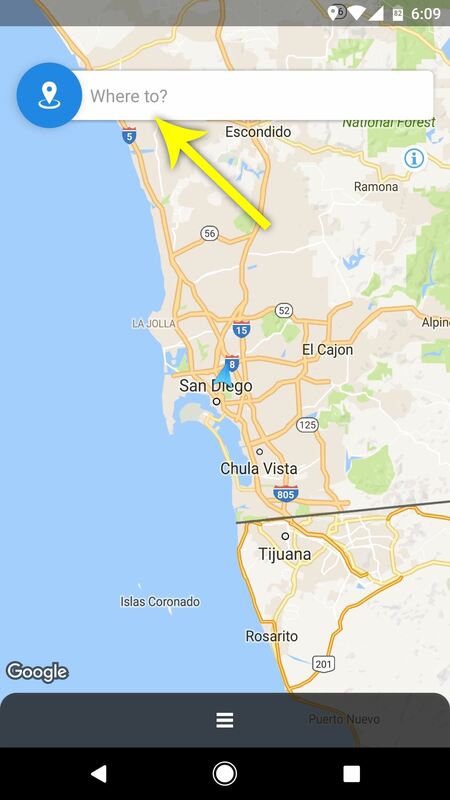 Immediately after setting your location alarm, you'll see an ongoing notification that tells you how far you are from your destination. 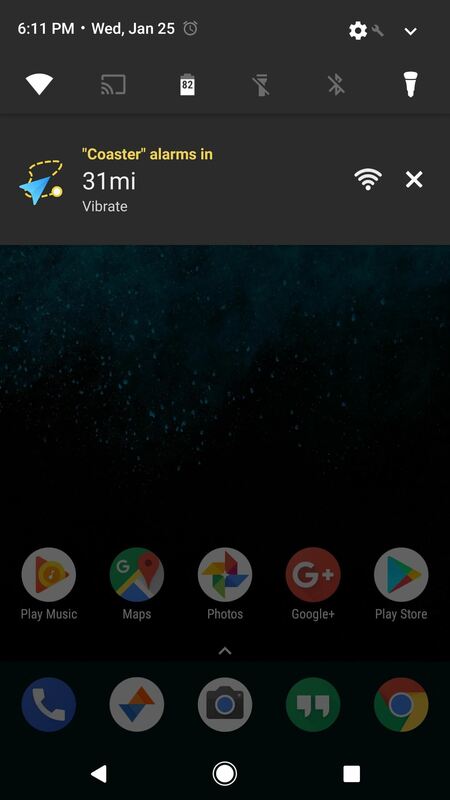 This is here to ensure that Android's memory management system doesn't close Alarm-Me, which allows it to run in the background to make sure it knows exactly when you arrive at your destination. 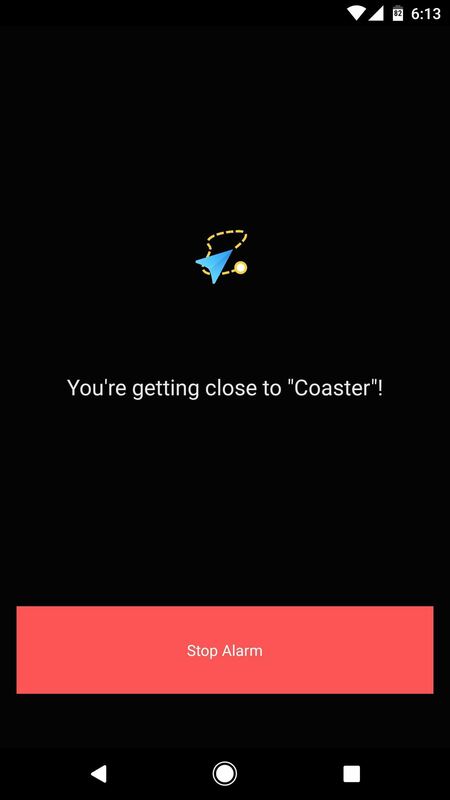 Then, when the time comes and you hit that radius zone around your destination, the alarm will go off and you'll see a full-screen notification telling you that you're getting close to your station. Once you've woken up and rubbed your eyes, just tap "Stop Alarm" and get ready to hop off your train or bus!